What does card status mean? 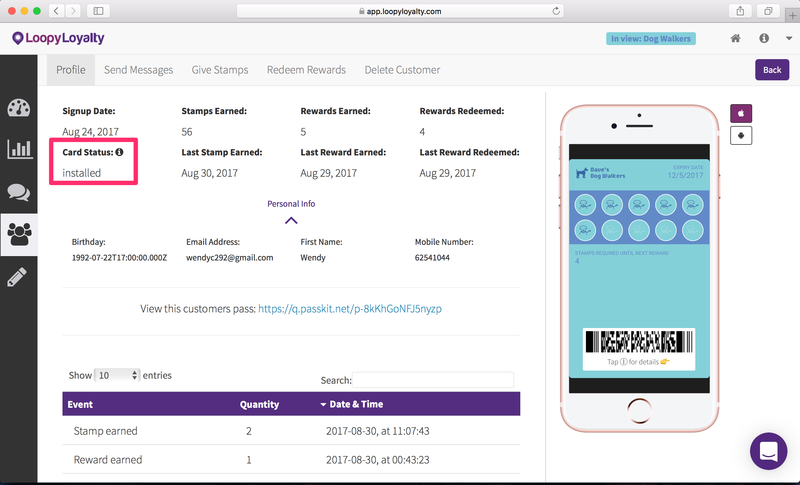 Learn about the different card statuses in Loopy Loyalty. Unlike traditional stamp cards, you don't know how many people have your paper stamp card in their wallet, in their pocket, or if they have them at all. Loopy Loyalty unlocks this knowledge for you. Here are the different card statuses in Loopy Loyalty. Your customer has filled in their information and clicked on the 'Join Now' button on your loyalty program enrollment page, but did not add their card to Apple Wallet or Google Pay. If you notice that your customers haven't installed their card, you can send them their unique card link. Learn more about that here. Your customer has saved their card in Apple Wallet or Google Pay. Your customer has deleted their card from their device. You have removed a customer from your loyalty program. As a result, the barcode on their card is removed and this customers' card will no longer be able to receive stamps or rewards. 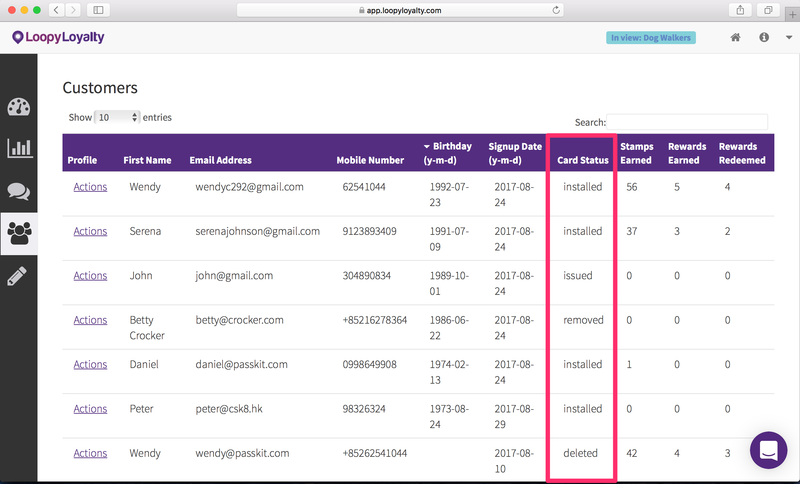 You can find the card status for each person in the 'Customers' table and in an individual customer profile.